Chip the caterpillar – now available for FREE! Remember this little guy? He was first published in Happily Hooked Magazine in February, but now he is available to download on my website and Ravelry for free! He also gained a name: Chip! He is great at chipping away at all the new spring leaves. While the pattern for his body is written in joined rounds (a great time to learn how! ), he also looks great when made in continuous rounds. You can also have some fun placing his little feet in slightly different positions so he has crazy dancing feet! Find some left over yarn in your stash and whip up a bunch of little caterpillars in all sorts of colours and sizes. Long ones, short ones, fuzzy ones – endless combinations! Can’t wait to see what you create. 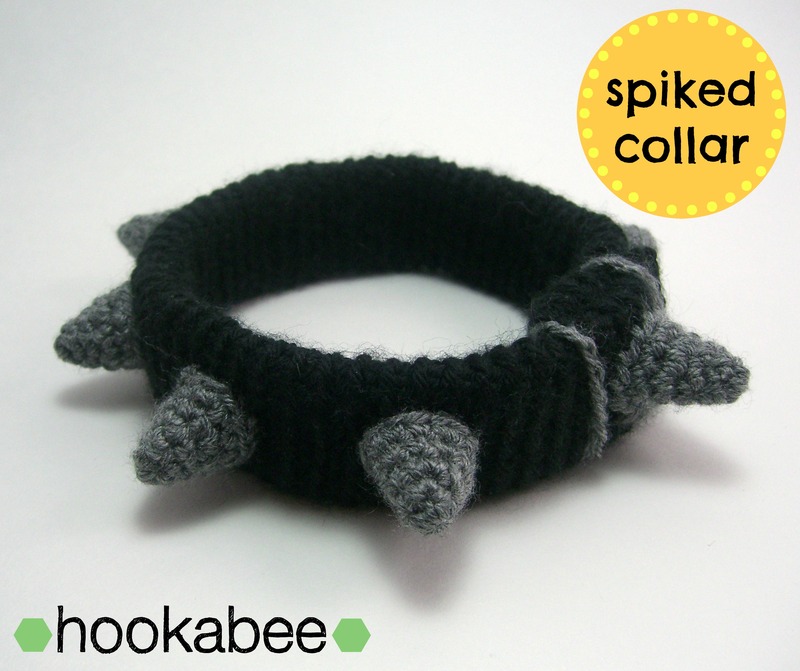 Now all the dogs in your life can (sort of) look rough and tough because I am releasing my next hookabee pattern (and first FREE pattern): a spiked dog collar. Ok, so a spiked dog collar is not amigurumi, but it is FOR cutie animals! I originally made this pattern for one of my clients (I am a dog walker! ), but altered it slightly to make it even simpler. 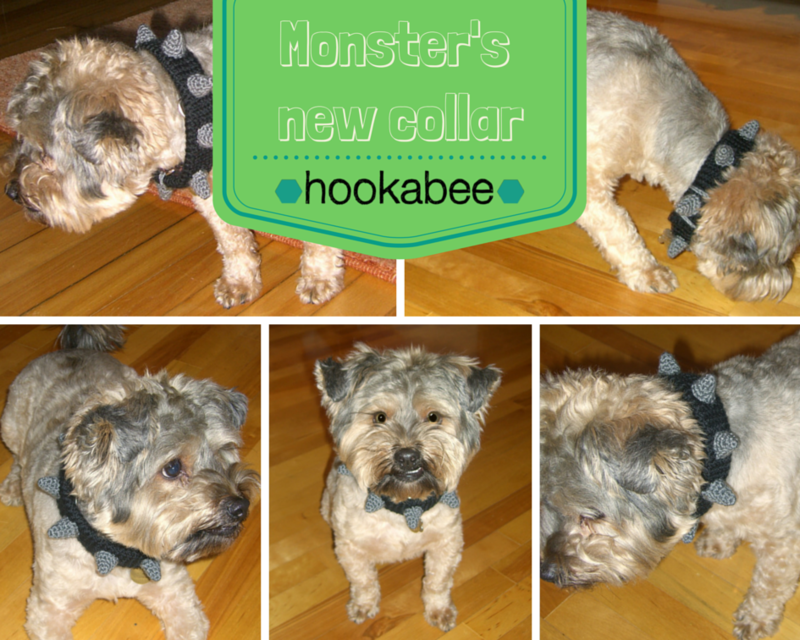 You can customize the pattern to fit your own dog and I include step-by-step photos throughout. 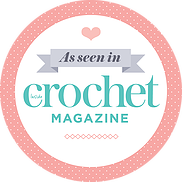 Before the new year I was a busy bee making lots of crocheted items to give as Christmas gifts to friends and family. Now that the holidays are over and I have given them all out, I can share them with everyone! One of the first items I made and designed was a crocheted spiked dog collar for one of my dog walking clients, Monster (when I am not crocheting, I am walking dogs here in Montreal: http://www.leashupdogwalking.com). I am very pleased with how it turned out! If I was to make one again, however, I think I would make it joined all the way around. I made it so you can open it to put it on (like a normal dog collar), but because the crocheted fabric is so stretchy, I can slip it over Monster’s head without undoing it, which is a lot easier to put on and simpler to crochet. In the coming days and weeks I will be revealing more of the gifts I crocheted, so stay tuned.